Designed to meet the new part L Building Regs, for use in bathrooms and toilets. Hole diameter 117mm. H x W x D 165 x 165 x 110mm. Spigot depth 45mm. Timer version adjustable 1-20 minutes. Humidistat version adjustable between 40% RH and 95% RH. 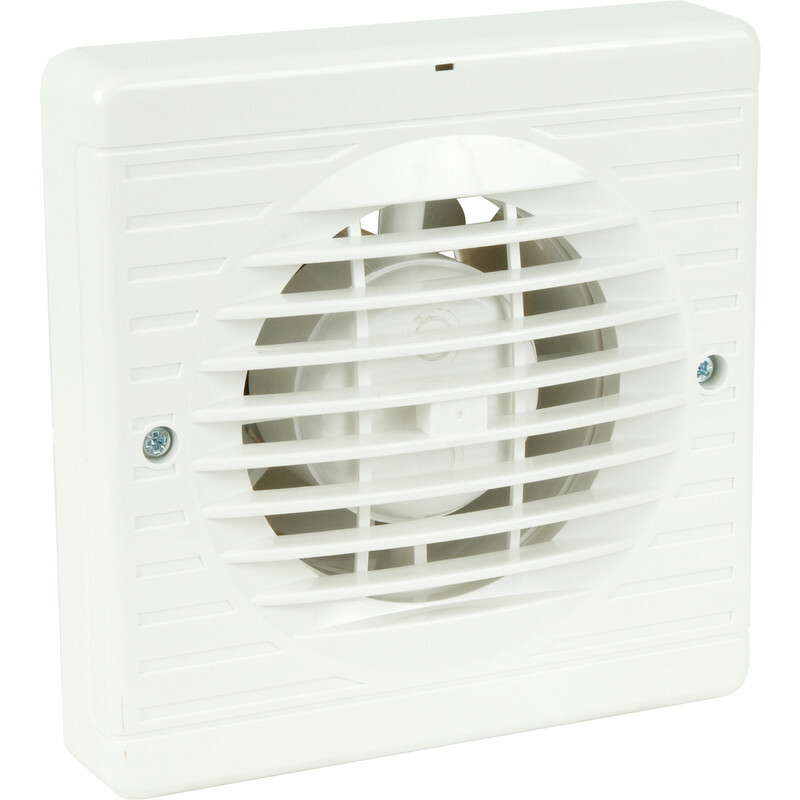 Airvent 100mm Extractor Fan Humidistat is rated 4.3 out of 5 by 7. Rated 4 out of 5 by Lojong from Fast delivery - free So far the fan is operating well. Rated 3 out of 5 by Kday from second time lucky? The first fan has lasted approx 6 weeks due to a faulty cover allowing steam and condensation into the electrics. Hopefully the replacement will last longer! Rated 4 out of 5 by Bigbadjohn from Extractor fan I ordered this on a weekday around 5pm. It arrived the next morning and the postage costs were nil. The fan is working fine and Toolstation have been a pleasure to deal with. Rated 5 out of 5 by Mac57 from Powerfull Keeps wet room clear of steam whilst having shower.